Consider the walnut! If you compare a walnut with some of the beautiful and exciting things that grow on our planet, it does not seem to be a marvelous act of creation. It is common looking, rough, not particularly attractive, and certainly nor monetarily valuable. Besides, it is small. Its growth is limited by the hard shell that surrounds it, the shell from which it never escapes on its own. Of course, though, that's the wrong way to judge a walnut. 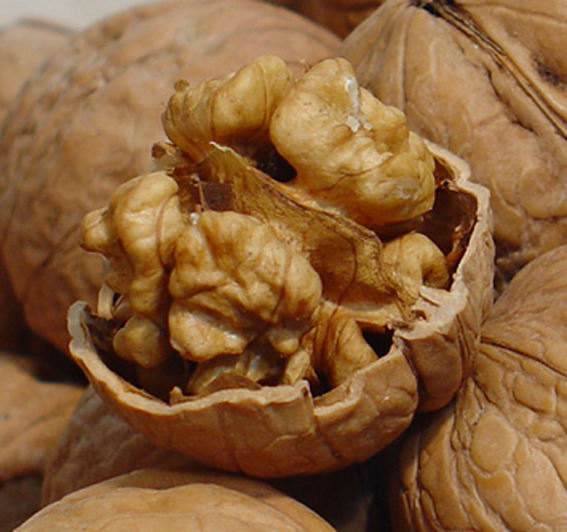 Break a walnut open and look inside. See how the walnut has grown to fill every nook and cranny available to it. It had no say in the size or shape of that shell, but, given those limitations, it achieved its full potential of growth. How lucky we will be if, like the walnut, we blossom and bloom in every space of life that is given to us. Take heart! If one nut can do it, so can you. 호두를 보아라. 만약 당신이 이 지상에서 자란 아름답고 설레게 하는 어떤 것들과 호두를 비교해본다면 호두는 경탄할만한 정도의 것은 아닐 것이다. 평범해보이고 거칠고 그다지 매력적이지도 않으며 확실히 화폐적인 가치로도 별로 없다. 게다가 호두는 작고 호두알을 둘러싸고 있는 단단한 껍질 안에서 제한적으로 자랄 수 밖에 없으며 그 껍질 밖으로 넘어설 수 있는 방법도 없다. 그렇지만 이러한 것들이 호두를 제대로 판단하는 것은 아니다. 호두를 깨서 열어보아라 그리고 안을 보아라. 갈라진 틈과 껍질 벽 사이마다 가능한 최대로 구석 구석 성장한 호두를 보아라. 껍질이 가지는 크기와 모양은 어쩔 수 없다고 해도 호두는 주어진 한계 안에서도 성장할 수 있는 최대의 가능성을 성취했다. 만약 우리가 호두와 같이 우리에게 주어진 삶의 모든 공간안에서 발전하고 성취할 수 있다면 얼마나 행운이겠는가. 용기를 가져라. 만약 작은 호두 한알이 할 수 있다면 당신도 할 수 있다.